Nothing, that is, except their remarkable literary talent. So unfolds the story of the Brontï¿½ sisters. At its center are Charlotte and the writing of Jane Eyre. Delicately unraveling the connections between one of fiction's most indelible heroines and the remarkable woman who created her, Sheila Kohler's Becoming Jane Eyre will appeal to fans of historical fiction and, of course, the millions of readers who adore Jane Eyre. 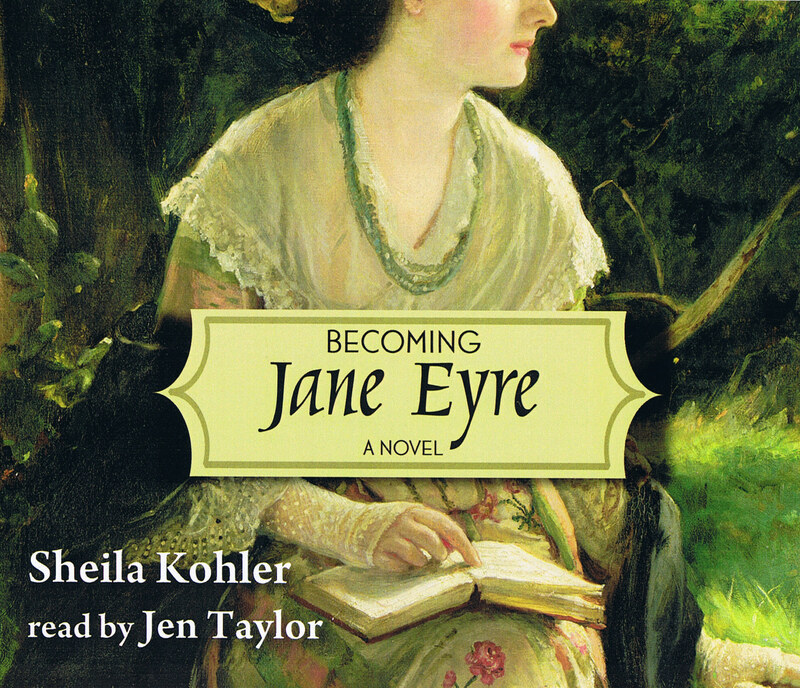 "Jen Taylor offers a strong reading of Kohlerï¿½s parallel autobiographies of Charlotte Brontï¿½ and her most famous creation, Jane Eyre. Listeners enter the Brontï¿½ world, following Charlotte and her sisters, Anne and Emily, as they walk through parlor and park, reading to one another from their respective novels and poetry, giving each other ideas and criticism, coping with their jealousies, broken love affairs, health issues, their brother Branwellï¿½s dissipation, and their fatherï¿½s recovery from near blindness. Taylor uses a lush, throaty voice for her narration while creating an impressive range of voices for the dialogue and characterizations. Even high-pitched childrenï¿½s voices become credible in her skilled performance. This is an intriguing fictionalized look at how much of a writerï¿½s life sometimes makes its way into her novels."